You might find an Alohabilly Betty Mug or a blue-and-turquoise Akuku decanter designed by that coolest of the cool artists, Shag. That one is collectable already, going for $199 on some websites. How about the Intergalactic Island Hopper Decanter, in the shape of a rocket ship? Wait, you say. What’s Tiki about a rocket ship? Well, it’s designed by Flounder and sculpted by Squid, two artists big in the world of Tiki. And besides that—a Tiki god has been sculpted on the side of the ship. Perhaps a Deville’s Pad Devil Girl Mug designed by Derek Yaniger is more your taste? She is a cute little devilette, complete with one-piece black bathing suit and matching pitchfork. 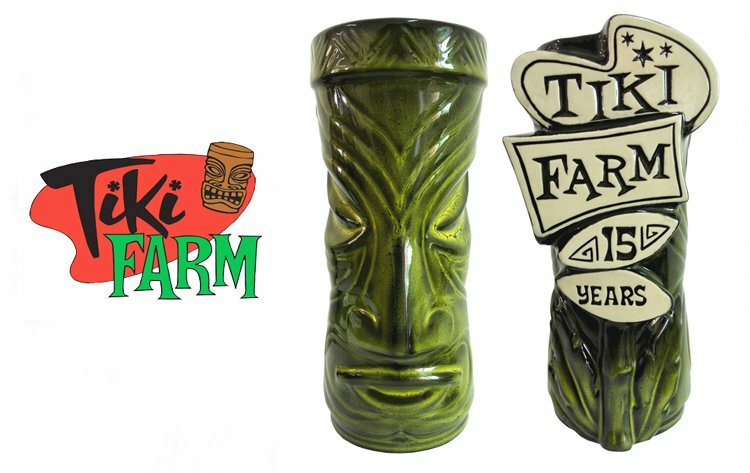 What we’re looking at are wares produced by Tiki Farm, a San Clemente company that claims to be the largest manufacturer of Tiki mugs in the world and that is celebrating its 15th year of doing this with an art exhibit at a high-class Los Angeles art gallery from November 6 to 29. If any gallery that specializes in lowbrow art can be called high class, that is. The venue, La Luz De Jesus Gallery, is at 4633 Hollywood Boulevard and it is a respected name among devotees of Tiki art, Kustom Kulture, and related fields of retro-inspired modern popular art. Holden Westland—that’s a high-class name—is founder and president of Tiki Farm, which will be sharing the gallery with artist Michelle Bickford, who is having a one-woman show. Like so many artists, Bickford has designed for Tiki Farm. Tiki Farm has worked with such artists as Tom Laura, Sam Gambino, Thor, and the late The Pizz. Over the years the company has produced thousands of mugs, often for companies like Coca Cola, Disneyland, or Trader Vic’s. “The mug is the centerpiece of Tiki. Cocktails are too. The liquid and the vessel,” says Holden, a Long Beach boy who started in the Tiki world as a garage hobbyist in Laguna Beach. The exhibit will have about 500 mugs designed by about 100 artists, including some special limited-edition mugs that are new. Many items are collectable. 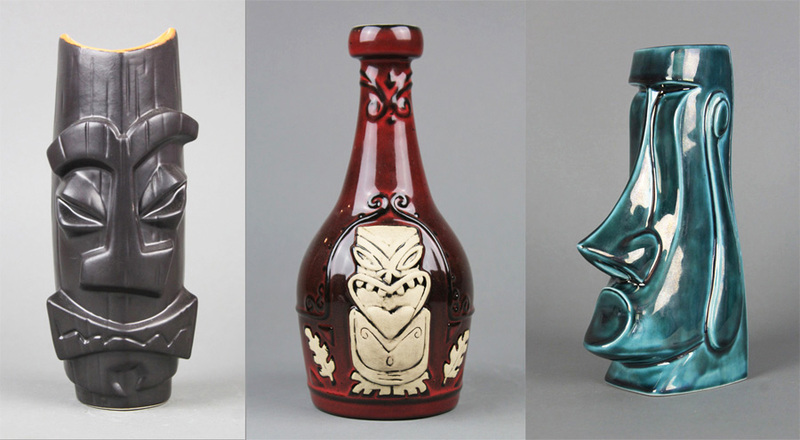 For more on the Tiki Farm exhibit at La Luz De Jesus Gallery, click here.